This might be the BEST Geek Deal of the Day we have done. 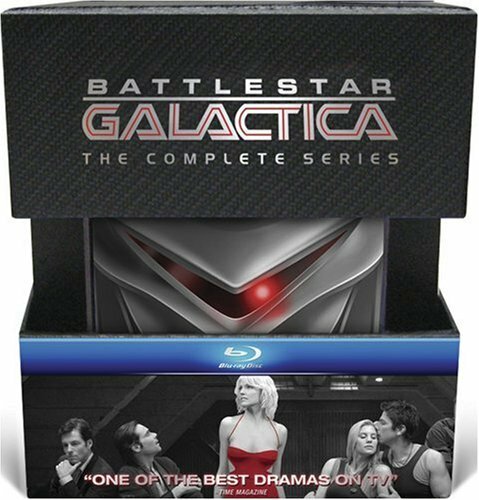 For a limited time, the Battlestar Galactica: The Complete Series (with Collectible Cylon) Blu-ray and Dvd are 67% Off!!!! This does not happen often. In fact, I don’t remember this set ever going on sale. This set normally goes for $350 and is now, for the time being, $115.99 for the bluray set, and $88.99 for the DVD set. In this set, you get every episode of the BSG series, tons of extras, and a very cool cylon collectible and moveable figure. Take advantage quickly. 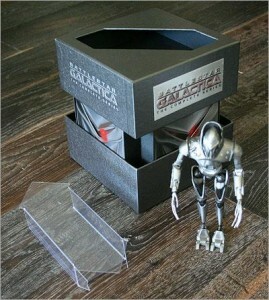 Geek Deal of the Day!!! ‘Walking Dead’ Blurays!! 61% Off!!! This entry was posted on Sunday, June 3rd, 2012 at 10:39 am	and is filed under News, Television. You can follow any responses to this entry through the RSS 2.0 feed. You can skip to the end and leave a response. Pinging is currently not allowed. « The Green Lantern Re-launched as Gay Super-Hero!! !